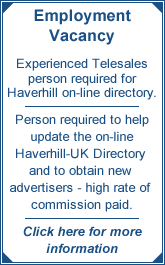 Haverhill-UK - News - Gosfield are great guys! League beat first division Panfield 3-1 at Rosemary Lane last Friday evening. But Panfield shocked their Premier League opponents by taking the lead through Donovan just before half time. However, soon after the restart, Gosfield were back on level terms through Sayward, then went in front with a goal from Hill. Gosfield were in control and settled the issue when Hill made it 3-1. Although the league and cup programme is now completed, there is still a lot of interest in the various local cup competitions which are organised within the league. Two second round ties were played in the Hampstead Cup. Hundon ran out 5-2 winners at Belchamps, while Rolls netted the only goal of the game to see Clare beat visitors Gosfield. In the semi-final, Clare take on Wickhambrook on Saturday while in the other half of the draw, Hundon meet Steeple Bumpstead on at Long Melford with a 7.3Opm kick-off. In the other local cup competitions, Clare face Withersfield and Hundon are involved in a local derby with Kedington in two semi-finals in the Hundon Coronation Cup with the final being set for May 18 at Hundon (6.30pm). Wickhambrook and Hundon meet at Clare this coming Wednesday to decide who should take on Clare in the final of the Kedington Cup, which is due to be played at Long Melford on May 21. Long Melford will also provide the venue for the playing of the Horsheath Cup final on May 16 when Gosfield Reserves and Steeple Bumpstead Reserves will be the two teams involved. With Teresa Outerbridge standing down as general secretary, the league is urgently looking for a replacement. Anyone interested, who would be prepared to take on who is important position within the league should contact the chairman Dennis Peach on (01799) 584488.